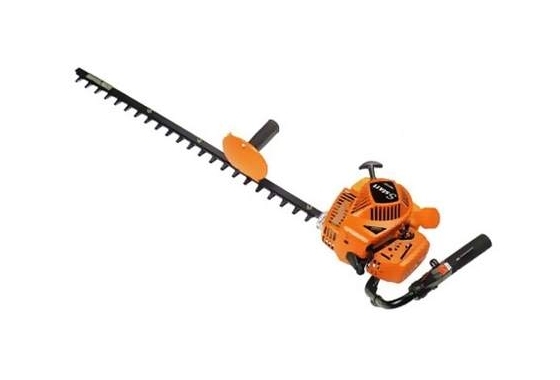 Double Sided Hedgetrimmer. Damper reduces vibration. ‘Quick-Twist’ angle adjustable handle can be locked in 5 positions for ease of use. ‘S-start’: soft and smooth engine recoil starter.